Behemoth are no strangers to blasphemy. Over the course of the last 27 years, they’ve pushed the boundaries of black metal and heresy alike. 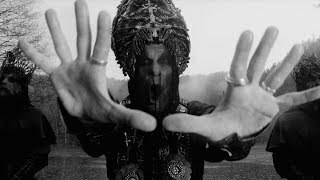 While anti-Christian sentiment might seem like stale bread where most metal bands are concerned, for Behemoth such ideas represent a very real threat to their physical freedom at home in Poland. But the struggle fuels their passion for this music, which they channeled into their new record “I Loved You At Your Darkest”. A crushing salvo of black metal majesty replete with hellish riffs, thundering drum cannonades and soaring liturgical choirs reminiscent of classic horror cinema, the album is also bejeweled with nimble-fingered rock guitar solos that summon demons. Don’t miss this infernal band by any chance!